So you wanna buy an Infiniti G35? After a little over a year of G35 ownership I figured I should put out a buyer’s guide to spread the word on these awesome and underrated cars that many enthusiasts disregard because of their current image. The G35 is best explained as 90% of a BMW with 10% of the maintenance costs. It offers most of the dynamic prowess of an E46 but is roughly the size of an E39. They’re practical, cheap, reliable and reasonably quick. Pretty much everything under the skin is shared with the 350Z so the aftermarket is huge and Infiniti made tons of them so they’re easy to find in pretty much every region of Canada and the US. They’re great daily drivers that are also reasonably good at autocross, drifting and open lapping, plus they have some nice amenities. Automatic climate control, heated seats, Bose stereo, reclining rear seats on most sedan models. 2003: Available as a 6MT RWD coupe, an automatic RWD coupe and an automatic RWD sedan. Sedans are rated at 20 fewer HP and 10 fewer lb-ft than coupe models but dyno results for stock sedans and stock coupes and stock 350Zs are pretty much identical so the horsepower “gap” is imaginary. 2003 sedans cannot be tuned using UpRev. 2003.5: The 6MT RWD sedan joins the fray and the ugly trunklid handle on the sedan disappears. Xenon headlights become standard equipment. 6MT sedans can be tuned using UpRev although automatic sedans continue to be non-compatible. 2004: The automatic AWD sedan joins the fray. The 6-speed RWD sedan gains a viscous limited-slip differential in place of the open diff. The biggest news is that all 2004 models can be tuned using UpRev software. 2004.5: Revised manumatic mode for automatic cars with downshift rev matching, new shift knob on automatic cars. 2005: Sedans get a new front clip, new headlights, new side skirts, new taillights and a new rear bumper. 6MT cars get the revised CD009 transmission and the RevUp engine that bumps output to 298 HP, although torque drops slightly to 260. Automatic sedans now match the output of the automatic coupe models. Sport package and 6MT sedans get new 18" wheels and sport package and 6MT coupes get new forged 19" wheels. The viscous limited-slip differential is now standard on automatic sport package cars. Sedans get bigger brakes while Brembo brakes are no longer available on coupe models. All models get a new dashboard, console and gauges as well as other minor interior trim changes. The tape deck goes away but knobs for volume and temperature are added. Bluetooth becomes optional and leather becomes standard. The navigation system gets revised and sport package and 6MT cars get alloy pedals and orange stitching on the steering wheel. Intelligent key becomes available on automatic models and sedans get an exterior trunk release button. 2006: Coupes get new headlights with projector elements, new taillights and a new spoiler. Sport package and 6MT coupes get a new front bumper and new side skirts. 6MT coupes also now have available active rear-wheel steering. All coupes get an exterior trunk release button and minor interior trim changes. 2007: Pretty much a carryover year for the coupe. The sedan moves on to the V36 generation. Pretty much all G35s suffer from oil consumption, although some are more affected than others. Early 2005 6MT cars had soft piston rings which can lead to excessive oil consumption as the miles pile on. Owners of 2003-2004 6MT often complain of crunchy or even failed synchros. The stock head units on 2003-2004 cars aren’t especially reliable and a bezel with a separate climate control panel is needed in order to retrofit an aftermarket head unit. The wiring harness leading from the body to the trunklid is frail and can be easily pinched and frayed or even cut just from opening and closing the trunklid. The bushings in the front suspension compression arms are substandard from factory and often wear out prematurely. Polyurethane is most likely your best bet as spherical bushings can be very harsh. Some owners have experienced rear axle click that’s usually remedied with additional lubrication of the CV joint collars. 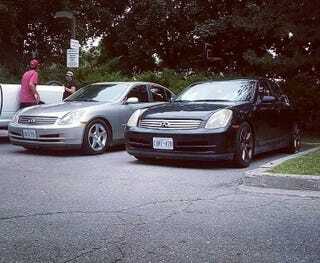 With the G35 being virtually identical to a 350Z underneath the aftermarket is simple huge. A catch can is probably the best reliability mod that can be done to a G35 as most of the oil consumption is due to PCV blow-by. Other great reliability mods include polyurethane bushings in the front suspension compression arms and an oil cooler if any significant track time will be seen. Many owners report gains of 10 horsepower or more from a cold air intake. Stillen makes a fantastic one, as do Z1 and Admin Tuning. Non-RevUp G35s gain about 15 horsepower from a simple 5/16" plenum spacer. RevUp G35s benefit strongly from the MRev2 lower plenum and the 5/16" plenum spacer together, although the 5/16" plenum spacer by itself won’t really do anything for a RevUp engine. The factory exhaust is very restrictive. It’s been dyno-proven that ISR has the best aftermarket y-pipe and fortunately it’s quite cheap. As for a midpipe and tail section that’s mostly up to personal preference. 350Z exhaust systems require a midpipe spacer to fit on G35s and the coupe tail section won’t fit on the sedan without irreversible modification. The coupe midpipe is very cheap, bolts right up to the sedan and offers a 25lb weight savings, flows better and has a better tone. Test pipes are also good for an extra 6-8 horsepower although they’re not exactly legal. A lot of owners have been really happy with BC Racing DS coilovers. They don’t cost an arm and a leg and the digressive damping makes them a lot more comfortable for street driving while still being good on the track. Solid diff bushings really help with combating wheel hop and aren’t as uncomfortable as one might imagine. Best of all, they’re cheap. The G35 doesn’t have a full-off mode for the VDC system but a simple SPST switch wired into the orange wire on the harness for the yaw sensor (mounted under the centre console) allows for full deactivation of the VDC system. 05+ two-piston front brakes bolt right up to pre-05 sedans and are a cheap upgrade that vastly improves braking performance. RWD automatic cars strongly benefit from a 3.54 diff out of a 6MT car. Apparently it shaves almost half a second off the quarter mile time. A set of 4.08 rear gears in a 6MT G35 adds tons of pull in every gear. Not only will the car feel way faster but the gears will shave a significant chunk off the quarter mile time. Best of all it doesn’t require an ECU tune to maintain speedometer accuracy. Fair warning though, this may disable the cruise control if the difference in driveshaft speed and wheel speed is too high for the factory parameters. G35s are great cars to do pretty much anything with. They do get some flak for being a car for the type of person who hacks off the muffler and resonator, throws cheap replica wheels on it and hangs around Planet Fitness, but they’re so much more than just another chadmobile. Hopefully this buyer’s guide sheds some light on one of the hottest used performance bargains right now.